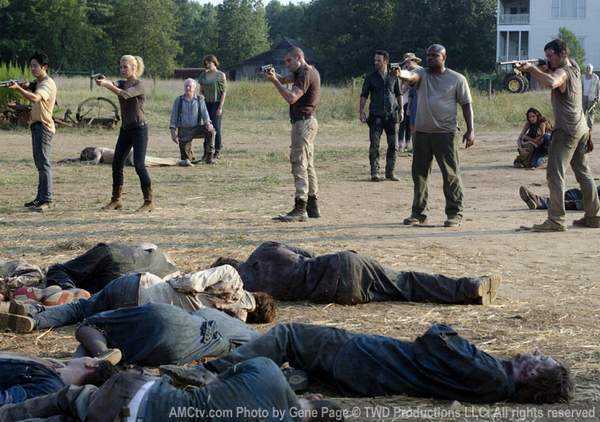 Here’s a sneak peek at the season 2.5 premiere of Walking Dead. There’s walkers in them there barn, Clayton. Go git the shotgun!